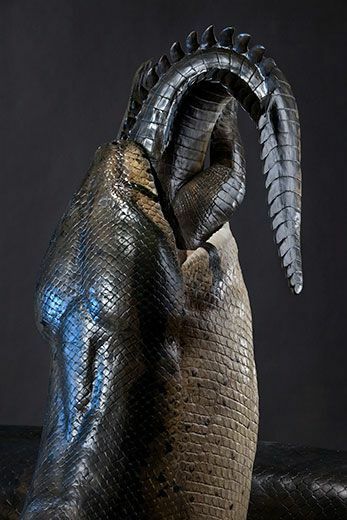 See Titanoboa coming to life! 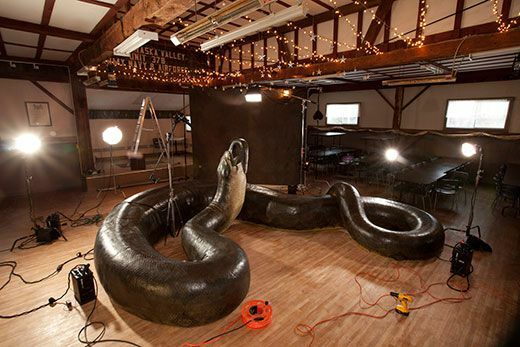 The life-size replica is as big and bad as the real boa. A new Smithsonian Channel documentary will tell you everything you need to know about the beast that eats crocodiles for breakfast and makes modern anacondas look like a garter snakes. It's the ultimate battle of the predators - the monster snake's unbelievable power against the tyrannosaurus' giant bite. They lived in different times and places, but if they ever met, who would win? In the wild, titanoboa probably ate large crocodiles, fish and other snakesbut if there were a titanoboa at the National Zoo today, what would the zoo keepers feed it? 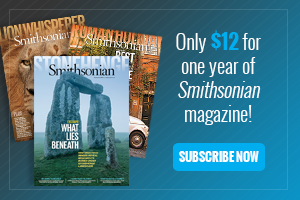 Video: Titanoboa at the Zoo? For Carlos Jaramillo, a paleobotanist with Smithsonian Tropical Research Institute, the excitement of finding a fossil never seems to get old. Snake Found in Grand Central Station! Cerrejón has provided Bloch with many such moments. The search for the river monsters of the Paleocene Epoch began here by accident 18 years ago, when Colombian geologist Henry Garcia found an unfamiliar fossil. He put the specimen in a coal company display case, where it was labeled “Petrified Branch” and forgotten. Nine years later, Fabiany Herrera, an undergraduate geology student at Colombia’s Industrial University of Santander, in Bucaramanga, visited Cerrejón on a field trip. Tramping around the coal fields at the mining complex, he picked up a piece of sandstone and turned it over. There was an impression of a fossil leaf on it. He picked up another rock. Same thing. And again. 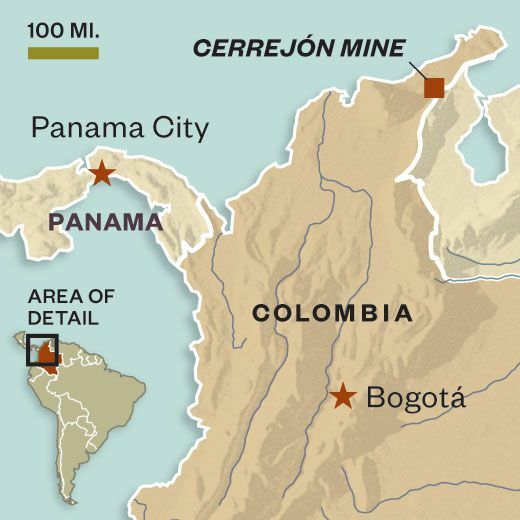 Herrera showed his discoveries to Jaramillo, who was working for the state oil company at that time and suspected that Cerrejón might have a lot more to offer than interesting rocks and coal formations. He and Herrera organized a full-scale expedition to Cerrejón in 2003 and invited paleobiologist Scott Wing, curator of fossil plants at Smithsonian’s National Museum of Natural History, to join them. Most fossils, plant or animal, are found either in temperate climates or in isolated niches in the tropics, such as deserts or high altitudes, where wind blows away sand and stone to expose ancient remains. Other fossils near the Equator lie buried and inaccessible beneath millions of tons of soil and vegetation. At Cerrejón, the quest for coal had stripped away this shroud. When Wing arrived at the mine, he looked in the coal company display case and decided that the “Petrified Branch” was not what it seemed—and that plants were not the only attraction in Cerrejón. “I had a point-and-shoot camera,” Wing recalled. “Early in the visit I asked if the company could open the cabinet, but nobody could find the key.” Wing took some pictures through the glass, returned to the United States and e-mailed them to Bloch at the University of Florida in Gainesville, a collaborator on an unrelated project. “I flipped out,” Bloch said. He was looking at part of the fossil jawbone of a land animal. Terrestrial vertebrates of that age had never been seen in the tropical latitudes of South America. The jawbone came from a dyrosaur, a very large crocodile-like creature now extinct. The fossil signaled that there were probably other vertebrate discoveries to be made. Bloch and Wing immediately made plans for another trip and met Herrera and Jaramillo in Cerrejón. Wing showed Bloch the display case and started wiggling the lock. The glass broke. Wing reached in, plucked out the dyrosaur specimen and found a second bone hidden behind it, which “looked like a piece of pelvis,” Wing recalled. It was. Garcia explained he had found the fossil at a mine site known as the Expanded West Pit. He took the visitors there. A layer of coal had been removed from the surface, leaving a vast expanse of naked mudstone baking in the tropical sun. “It was covered with turtle shells,” Herrera recalled. They were bleached white and shimmering in the heat. The team collected fossils and returned to Gainesville. Over the next few months, U.S. and Colombian students explored other Cerrejón sites and e-mailed photos to Bloch. The La Puente Cut, an enormous open pit covering 6,000 acres of Cerrejón’s North Zone, appeared to be the most promising. La Puente is a forbidding, naked surface of soft mudstone cut by gullies leading downslope to a lake filled with runoff and groundwater. The only vegetation is an occasional scraggly bush clinging to the scree. 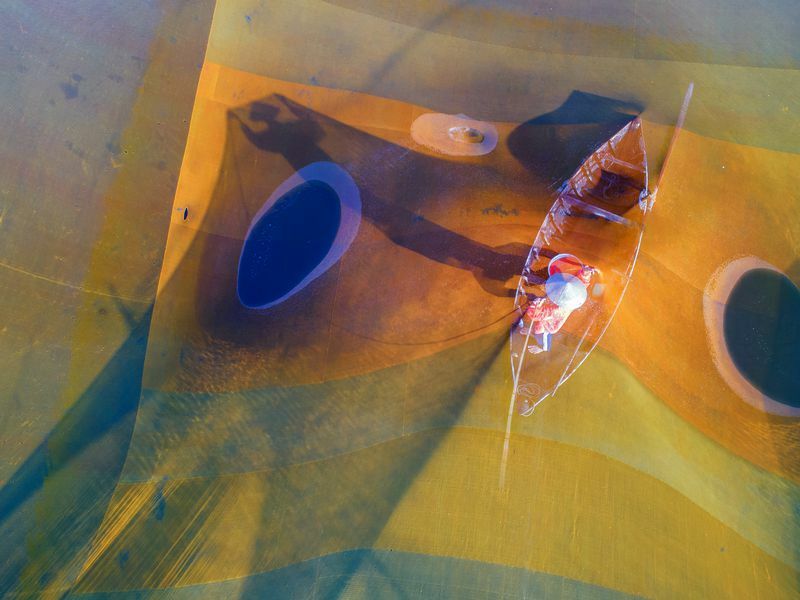 The pit shimmers at temperatures above 90 degrees Fahrenheit, while a hot wind blows constantly, with 25-mile-per-hour gusts. Methane fires belch periodically from the naked cliff face across the lake. Immense trucks can be spotted in the distance, driving loads of coal scooped up after blasting. The mudstone was the paleontological pay dirt. “Wherever you walked, you could find bone,” Bloch said, recalling the wonder of the first trip. During that expedition, in 2004, the researchers grabbed everything they saw, and everything was big: ribs, vertebrae, parts of a pelvis, a shoulder blade, turtle shells more than five feet across. They found bits of dyrosaur and turtle everywhere, and other animals as well, but the team could not sort everything immediately. They put what they could in plastic bags, then dug pits and cast the big pieces in plaster of Paris. “It’s like prospecting,” Bloch said. Walk along with brushes and tweezers and eyes focused on the ground until you find something you want. Put the little bits in plastic bags and label them. Mark the bigger pieces on a GPS device and come back the next day with plaster and a tarp. Wait too long, and the GPS reading is useless: The rain is a curse, washing everything down the slope, never to be seen again. But the rain is also a blessing, for when it stops, a whole new fossil field lies open for exploration. For the next five years, Bloch and Jaramillo led field trips to Cerrejón and sent a steady stream of vertebrate fossils to Gainesville. Many of the remains looked a bit like those from modern animals, only much bigger. One new species of turtle was five and a half feet long, 67 percent larger than today’s biggest Amazon river turtles. 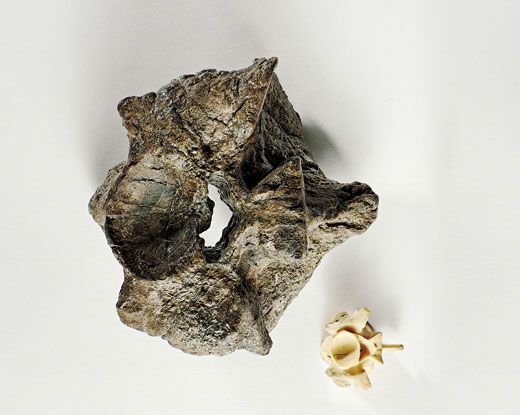 In 2007, Hastings was inspecting a shipment of fossils labeled “crocodile” and noticed a strange—and very large—vertebra. To his trained eye, it was clearly “not from a croc.” He showed it to fellow graduate student Jason Bourque, a fossil conservationist and reptile specialist. “That’s a snake,” Bourque said. He delved into the university’s reptile collections and came up with the vertebra of an anaconda. It was smaller but reasonably close in appearance to the fossil. 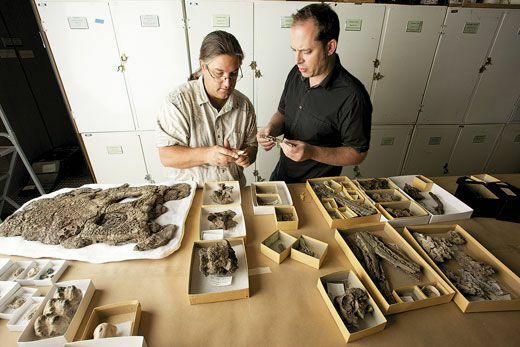 Bloch, Hastings and the rest of the team began ransacking the Cerrejón specimens. Fresh expeditions visited La Puente to search for more pieces of fossil snake. Eventually the team collected 100 snake vertebrae from 28 different animals. Except, apparently, it was. “I needed to know how big the snake was, so I called the only guy in the world who would be able to tell me,” Bloch said. That was Jason Head, then working at the University of Toronto. They had met in the early 1990s when Bloch was a graduate student at the University of Michigan and Head was an undergraduate. Bloch gathered up “a whole bunch” of bone samples, carried them into his office and called up Head for a computer iChat. He held up a vertebra so Head could see it. Was this a snake? 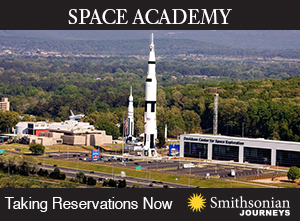 “I’m buying my ticket tonight,” Head said. Head spent several days in Gainesville with the Cerrejón researchers. They focused on the vertebrae from two different fossil snakes. Head noticed immediately that the creature had a T-shaped spine and that the bones had a number of characteristics that were unique to “boid” snakes—the lineage that includes boa constrictors and anacondas. Both species are common in South America today. Boas can be up to 14 feet long and weigh as much as 100 pounds. Anacondas can exceed 20 feet and weigh more than 500 pounds. 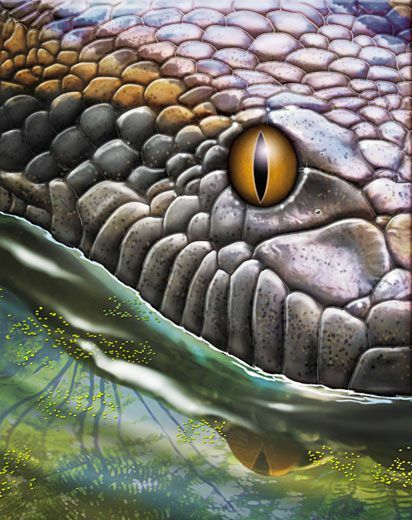 The bones of the Cerrejón snake suggested it was closely related to boas, but the Cerrejón environment offered a lifestyle more like that of the modern South American anaconda, a water dweller comfortable in both swift-moving rivers and swamps. And even though anacondas are big, these snakes were much bigger. How big? The problem with sizing ancient snakes is that you never have the whole spine in a neatly articulated row. You get individual bones, maybe pairs and occasionally three together. And unless you can place individual vertebrae in their correct position along the spine, you cannot know the animal’s length. The Cerrejón team had found what appeared to be an authentic primeval monster. 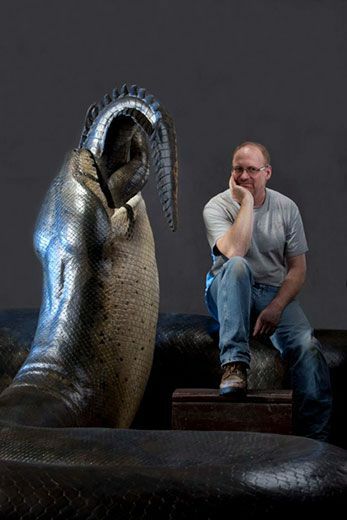 Titanoboa was as long as a school bus and weighed as much as a small rhino. Aside from the boid-style vertebrae, however, that was about all that could be said about the creature at first. 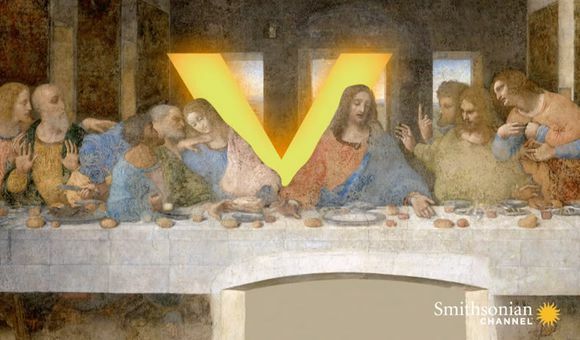 “—and then we did,” Head added. They were sitting side by side in Bloch’s Gainesville office, in front of two microscopes. The process of assessing new bones from a fossil like Titanoboa is tedious and repetitive. They were comparing the contours of individual skull bones with exquisitely preserved modern boa, anaconda and python skulls from the university’s snake collections. Bloch and Head wanted to determine if their first analysis—that Titanoboa was more boa than anaconda—would hold up. Fragments of jawbone suggested that Titanoboa’s mouth and whole head could have been over two feet long. A quadrate—a hinge bone connecting the lower jaw to the skull—enabled the back of the lower jaw to extend behind Titanoboa’s brain. Its mouth could “open big and open wide,” Head said. Eventually they agreed that Titanoboa’s skull was different from that of other boas, but they couldn’t determine if the extinct animal was more closely related to a boa or anaconda. The size of the snake immediately raised questions about how it got to be that big, and what it needed to survive. The Cerrejón team concluded in 2009 that Titanoboa had to have lived in a climate with a mean ambient temperature between 86 and 93 degrees Fahrenheit, substantially higher than the hottest average for today’s tropical forests, which is 82 degrees. 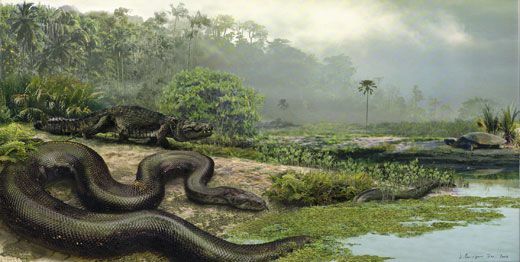 For the past several years, the Titanoboa researchers and other experts have been trying to understand and model the climate that the giant snake lived in. There’s been some disagreement about how best to estimate the temperature 58 million years ago. Titanoboa was a coldblooded animal whose body temperature depended on that of its habitat. Reptiles can grow bigger in warmer climates, where they can absorb enough energy to maintain a necessary metabolic rate. That’s why insects, reptiles and amphibians tend to be larger in the tropics than in the temperate zone. In this view, extraordinary heat is what made the snake a titan. The same principle would explain why ancient turtles and lungfish of Cerrejón were, like Titanoboa, much larger than their modern relatives. The relationship between coldblooded body mass and ambient temperature was the subject of a 2005 study by researchers at the Nuclear Physics Institute in St. Petersburg, Russia. By examining species sizes at a variety of different ambient temperatures, Anastassia Makarieva and colleagues calculated how fossils could be used to estimate temperatures in the distant past. 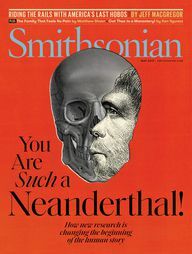 Head and Bloch used the Russian data, plus information about today’s anacondas and their Amazon habitat, to conclude that Titanoboa would have needed surprisingly warm temperatures to survive in ancient Cerrejón. Several researchers, however, disagree with their conclusion. Paleoclimatologist Kale Sniderman, of the University of Melbourne in Australia, is skeptical of Makarieva’s approach. He noted that an ancient lizard from temperate Australia grew to at least 16.5 feet in length. Applying the model to that fossil predicts that lizards currently living in tropical areas should be capable of reaching 33 feet. In another critique, Stanford’s Mark Denny, a specialist in biomechanics, says the Titanoboa researchers have it backward: The snake was so large and was producing so much metabolic heat that the ambient temperature must have been four to six degrees cooler than the team’s estimate, or the snake would have overheated. Head, Bloch, Polly and Jaramillo defended the team’s approach, but they acknowledge that their original estimate may have been a bit high. Recent data derived from nearby marine core samples have suggested temperatures closer to 82 to 88 degrees. Even so, they said, Titanoboa’s forest was much warmer than tropical forests today. Analyses of fossilized leaves from that forest support the idea that it was sweltering. Jaramillo and Herrera studied carbon isotopes in the leaves and the density of pores that let water in and out. They calculated that the levels of carbon dioxide in the atmosphere were 50 percent higher than today, which would have led to high temperatures on land. This fits with estimates from other techniques that the mean temperature was at least 82.5 degrees, and probably considerably higher. 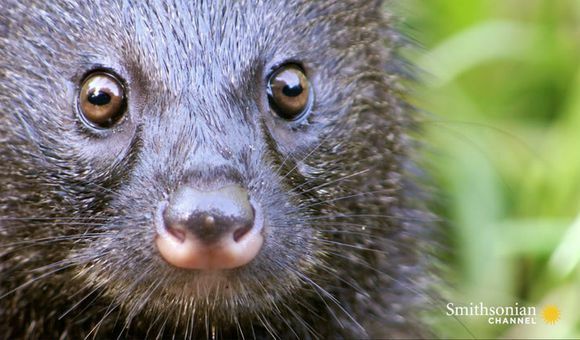 The temperature has implications for how species survived in the tropics—and how they will survive as the climate changes. The rapid contamination of earth’s atmosphere by greenhouse gases like carbon dioxide is causing global warming, a phenomenon, which, if unchecked, may cause massive die-off in species that can’t cope with the heat. During the time of Titanoboa, said Jaramillo, “we find a very productive forest, with a lot of biomass.” If Titanoboa and its lush ecosystem were in harmony at high temperatures, then global warming may not lead to ecological catastrophe—at least for some plants. “Perhaps modern plants have the ability to cope,” Jaramillo said. Jaramillo and other members of the Titanoboa team, however, point out that coping with climate change is a lot easier if you have millions of years to adapt to the warming trend. 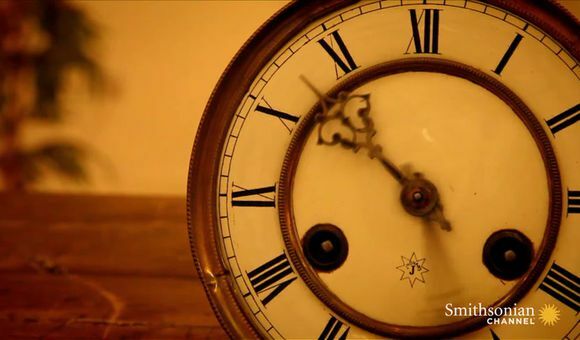 Making the adjustment in 200 years, as cli­matologists characterize the pace of today’s greenhouse effect, or even 2,000 years, is a different matter altogether. 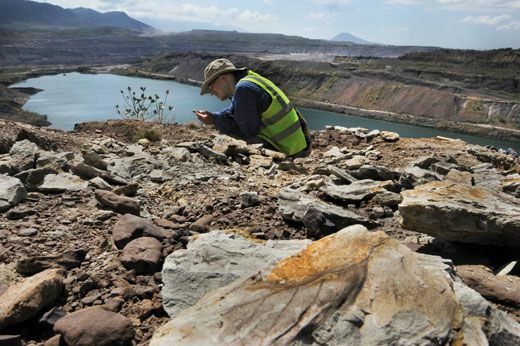 The paleontologists will return to Cerrejón this year to look for more fossils, more species and more evidence of what the world was like near the Equator 58 million years ago.